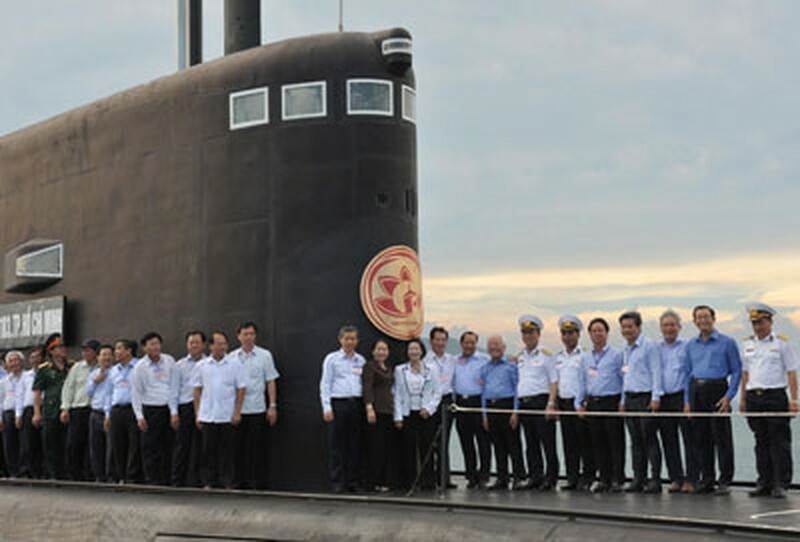 Member of Politburo and Secretary of the HCMC Party Committee Le Thanh Hai visited Navy Submarine 183 with delegates at Cam Ranh Military Port, Khanh Hoa Province on March 30. 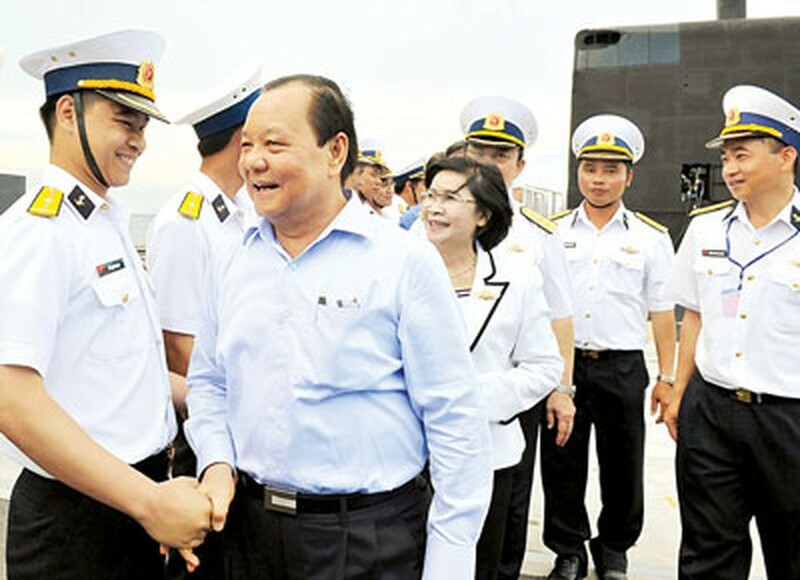 The ship, named Ho Chi Minh City, belongs to the Submarine Brigade 189. It is 73.8 meters long and 9.9 meters wide. It can travel up to 7,500 sea miles for 45 days with a capacity of 52 crewmembers. It is the 636th kilo-class modern submarine with modern military equipment. City delegation spoke with officials and crew about work and life aboard the submarine. The delegation expressed much pride in the submarine. City authorities will continue to cooperate with the soldiers aboard, said Secretary Hai. On behalf of Ministry of National Defense, deputy Minister Admiral Nguyen Van Hien thanked HCMC delegation. Soldiers will work hard and continue improving skills to navigate the submarine, said Hien. The event was attended by former State President Nguyen Minh Triet, leaders of Ho Chi Minh City Party Standing Committee and leaders of Departments.